I’ve been a mother for right at fifteen years now, and while this might be an early conclusion, I’ve pretty much decided that five is the best age ever. Five year olds are big enough to sleep all night, brush their own teeth, and put on their own shoes (for the most part). They generally eat without making enormous messes, and don’t have to be watched every second, like one has to do with a toddler. Five year olds are developed enough to have some skills to be helpers around the house.Their innate desire to please is still intact. They aren’t typically grumpy, obstinate, or prone to mood swings. Big enough to enjoy a variety of activities and yet still small enough to be pleased by a simple trip to the park, a a lollipop at the grocery store, or a sticker at the doctor’s office. But mostly, I love five year olds because they are so incredibly funny. Truly, these are some of the world’s finest comedians. You never know what they will say or do. Is it any wonder that Art Linkletter and Bill Cosby both had hit shows solely based on conversations with young children (many of whom were five years old). In fact, I think that is the best part about having a five year old in the house … the conversations. I could listen to a five year old talk all day long! Today, I’m going to share one of my favorite conversations that I ever had with one of my children. The discussion took place one spring evening as my children and I enjoyed a walk. The boys had raced ahead on their bikes, while Julia skipped along next to me, chatting away. By the end of the conversation, I had a new word in my vocabulary and a funny story to share for years to come. Julia: Momma, you know what I’m thinking about right now? Me: No … what’s on your mind, sweetie? Julia: I’m thinking about getting married. I love weddings. The wedding girl wears a big pretty dress and everyone says, “Ohhhh” when the wedding boy kisses the wedding girl. It’s so romantic. Me: Romantic? That’s a big word! I didn’t know you knew the word romantic, Julia. Julia: You’d probably be surprised at what I know. Me: Yes, I probably would. I hope you know that there is a lot more to know about getting married than just the word romantic. Julia: Yep. I know. And you know what else? I already know who I’m going to marry when I finally get grown up. Me: Jonathan? I don’t think I know any boys your age named Jonathan. Julia: Oh, he’s not in my class. He’s in Ms. Valentine’s kindergarten. And you know what? He’s real romantic. I like him a lot. Me: Why do you like him so much? Julia: Well, he’s cute. I love his spiky hair cause it sticks up everywhere. He wears real nice shirts … oh, and he smells nice because his mom makes him take a bath every night. And, (she lowered her voice a little), he is a tuffler. Me: A tuffler? What on earth is a tuffler? Julia (sounding incredulous): You don’t know what a tuffler is?! A tuffler is a boy who is real tough. If anyone is bad to me at school and does something I don’t like, then he tuffles them up! And that takes care of that. Me (stifling a giggle): Oh, yes … a tuffler. I see. Ahem. Well, I do hope he isn’t hurting people and getting in trouble for fighting at school. Julia (pausing with one hand on her hip in mock aggravation): Now, Momma, if you don’t stop laughing, I am going to call Jonathan right this minute and then he will come tuffle you, too! (She took a little breath, before continuing.) Oh, I almost forgot one important part. Jonathan is a superhero. But I am the only one who knows about it because his mother won’t let him wear his costume to school. None of the other kids know he has superpowers … just me. If I ever get to go to his house, he is going to show me all of his superpowers. But I told him that I still believe him even if I don’t get to see. Me: Well, that’s interesting, Julia … I’m really glad you like Jonathan so much. But right now I think you shouldn’t focus on Jonathan. Getting married to anyone is a long, long way off. You should be friends with all the kids at school … okay? Julia (gasping in shock): Momma! I’m not marrying him tomorrow! When Jonathan asked me, I just told him that I’d marry him after I’m all grown up. He knows he has to wait a LONG time. But he already gave me a ring, so it is for real. Me: He gave you a ring? Hmmm. Well, I’d like to see this ring. Where is it? 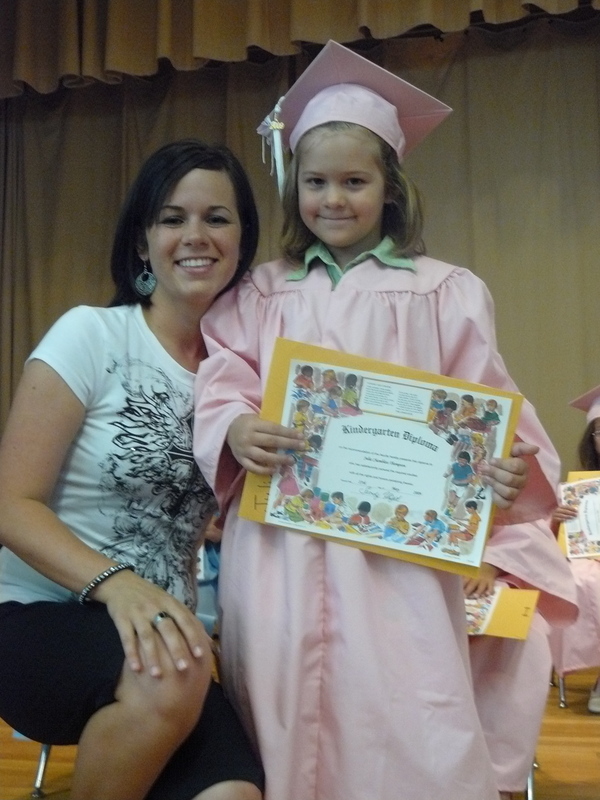 Julia with her beloved kindergarten teacher, Mrs. Amanda McGuffee. The tuffler conversation happened during the spring of her kindergarten year at school. And with that, my little chatter-box took the conversation in a totally new direction. The story of Julia and the tuffler is one of my favorites to tell. She’s nearly 12 so I’ve been sharing it for more than half of her life! Thankfully, she doesn’t mind me sharing it with others because I never get tired of telling the story as it never fails to make me giggle with delight. But more than just a funny story, the word tuffler reminds me of a truth about God. So often I feel beat up and bullied by this hard old world. I get defeated and wonder how much more I can take. In fact, this past week has actually had me feeling a lot like that. And yet, God is my tuffler. He is right here with me, protecting me. And I can trust Him to keep me safe from all the bullies of the world. Thanks, Cheryl! I needed it for myself. It’s been a long hard week around here, and I needed to think bout how God is watching over me even in the middle of the hard stuff. Yes, we had the same week and I was wondering and asking my husband the same thing. Take care. I wonder if she will remember her first “tuffler” in time to come. A cute piece. Thanks for sharing. 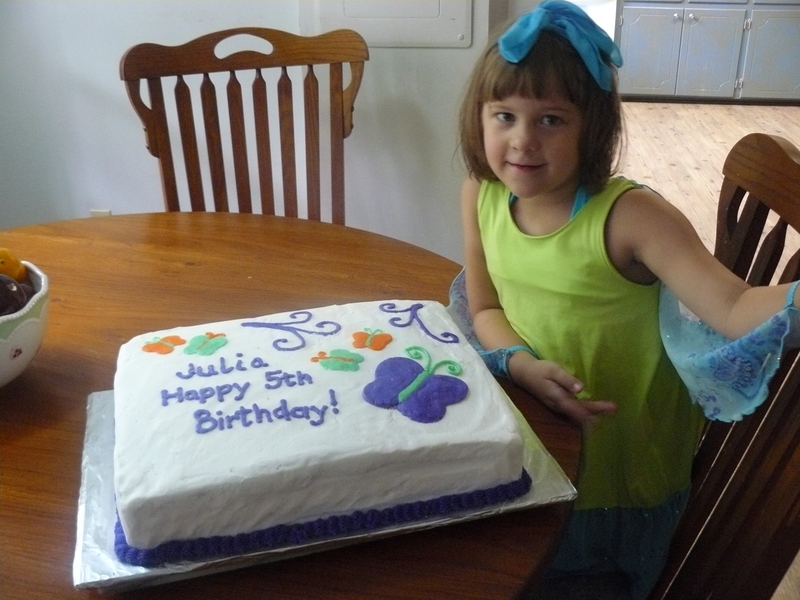 Julia says she does remember Jonathan, though obviously she no longer feels the same about him. I’m just glad that for now, she’s quite okay with being 12 and NOT boy crazy. So true how God often speaks to us through our children. It’s the best part about being parent! Cute story! Five-year-old kids are pretty fun to be around. I love their imagination at this age. I also liked being 5, too, once upon a time. I’ve tried to write down things from all my children, but this is one conversation I think I would have remembered even without writing it down! Thanks for visiting my blog!